What if the greatest secert of all lies within you? While any secret is troubling and elusive, the secret of who we are confounds us like no other. Every year we spend countless millions on therapy, “spiritual retreats,” and self-help books without getting closer to the answers we so desperately seek. Vedanta, the oldest enlightenment tradition in the world, unequivocally states that there is a clearly discernable answer to the question of our true identity and a solution to the underlying feeling of insecurity that compromises our happiness. Because this problem is simply a matter of misunderstanding, Vedanta says that knowledge is the key to its resolution. But this knowledge is not merely intellectual. Rather than an accumulation of information, it is an insight gained through direct analysis that fundamentally alters our perception of reality and changes our experience of life. Author Ted Schmidt explains and unfolds the proven methods of Vedanta that use the logical investigation of our own experience to clarify the most essential truths in our lives: who we are and the relationship between ourselves, the world, and God. Self-Knowledge doesn’t ask you to believe anything. It invites you to journey step by step through the process of Vedantic self-inquiry and see for yourself what it reveals regarding the essential question of who you are. The tools in this book will empower you to reclaim with full confidence and unshakeable conviction the peace and happiness that is your essential nature as whole, complete, limitless awareness. Probing and provocative, Self-Knowledge takes us to a place of deep inner inquiry and spiritual peace. It sheds light on unhealthy patterns in our lives and offers us a time-tested, infallible way out of our personal darkness. 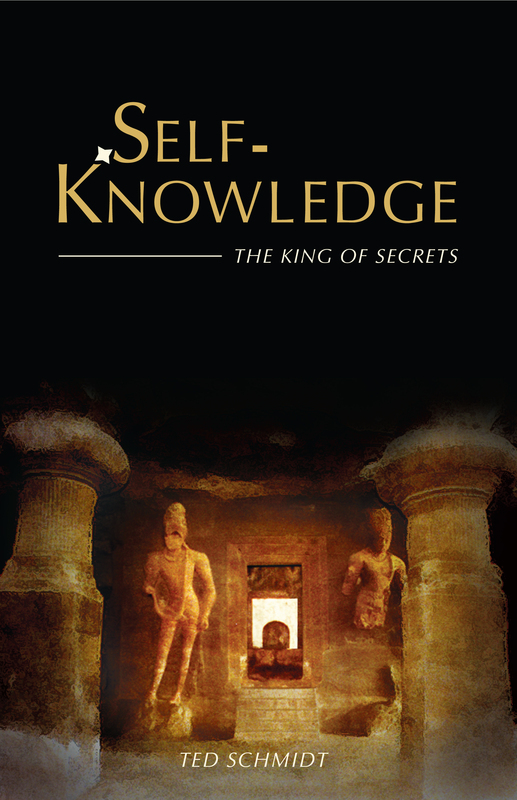 After reading Self-Knowledge, you’ll never again question who you really are . . .